KVM Switches Online - Your KVM Switch Experts! Find the best solution for your application! A Keyboard, Video, Mouse (KVM) switch allows a user to control more than one computer with a single keyboard, monitor and mouse (often referred to as a "console"). Users can literally manage and access thousands of computers or servers from a single "console". While selecting the best switch can be a difficult task, the professional staff at KVM Switches Online is here to assist you. 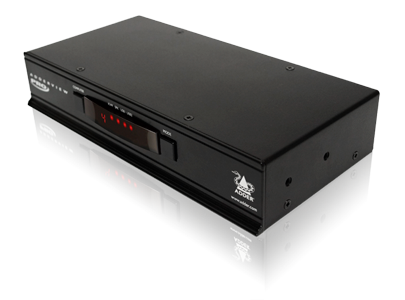 The KVM switching products we sell are from the industry's leading manufactures, and unlike some of our competitors, you can be sure that all items purchased on this site are new products, shipped in the manufacturer's original, unopened packaging. A Switch that uses USB cables for keyboard and mouse connections. Some USB switches will also allow PS/2 connections and some will allow sharing of other USB devices such as printers. Other things to look for in a USB switch include ability to share audio and wireless keyboard/mouse connectivity. Also remember to note which USB specification the switch supports. 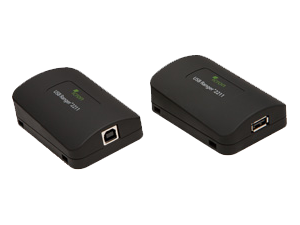 A new emerging market for KVMs includes HDMI ready switches like the SmartAVI HKM-02S HDMI KVM. As one might imagine, these switches are used for connecting HDMI compatible displays. This is especially useful in the audio / visual production field, as well as medical professions where high resolution displays are required. Another use for an HDMI KVM switch is for home theater setups, where a tower and laptop might share a large High-Def television. 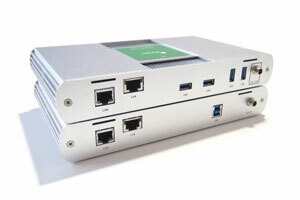 Another new market is for switches which support DisplayPort technology. 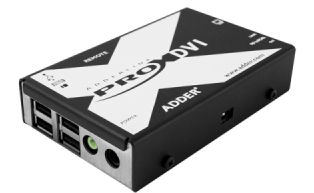 With monitor manufacturers moving away from VGA and DVI-I interfaces, availability of switches like the Adder AV4PRO-DP-US DisplyPort KVM will become more important. 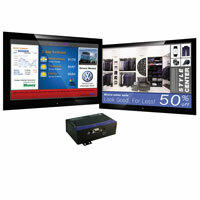 A multi-display switch will allow for extended desktops across two or more displays. 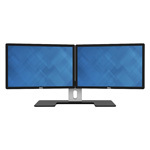 Displays can be VGA, DVI, HDMI, DisplayPort and in some cases mixed input. the number of monitors can range from two to four and higher for specialty applications. Integrated display, keyboard and mouse/touchpad units for use in server racks, rack consoles will also often include an integrated switch. 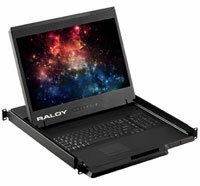 These space saving monitor drawers provide convenient access to servers right at the server cabinet. 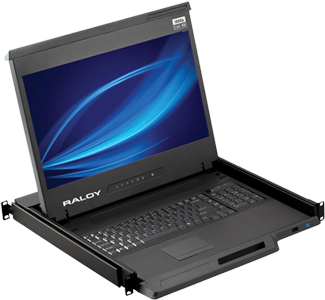 One import consideration is the type of mounting rails used for the LCD drawer. Not all rails will work in all server racks. IP switches use a browser to securely access servers/computers over the internet or LAN. 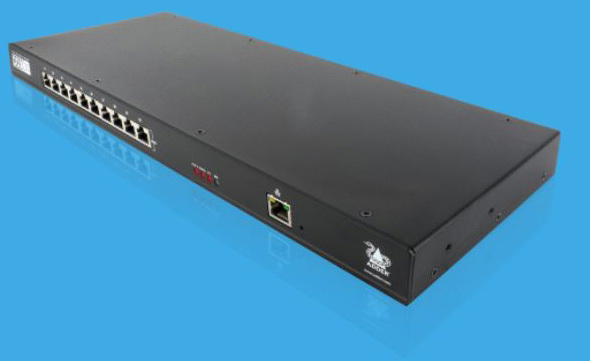 IP KVMs are an excellent replacement for software based remote access packages such as RDP and VNC. 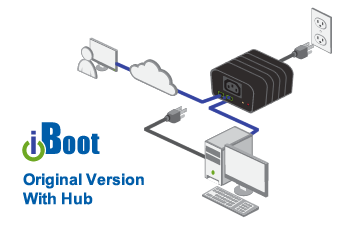 Depending on the particular model, benefits of a hardware remote access solution include the ability to cold boot equipment, BIOS level access, port level user profiles, and robust logging. A multi-user switch will allow simultaneous access to the switch by more than one user from multiple locations. This is accomplished via extension, Over-IP access or a combination of both. Multi-user switches are an excellent choice for enterprise applications where cross-platform switching is needed by multiple team members. Enterprise data center cooling, airflow and power management. Racks, rack accessories & environmental monitoring. Partners for international orders outside of the US.